If you have a need to know when your mail is received so you can retrieve it right away, then you are likely looking for a solution to notify you when the mail has been dropped into your mailbox. It can be important to retrieve your mail right away especially if you receive checks or other valuable items via mail and you don’t want them sitting out too long. 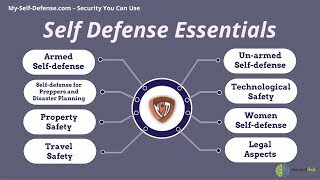 To address this issue, My Self Defense has put together list featuring the best mailbox alert systems that alert users when new mail arrives. Let’s get straight to the point. The following alert systems are easy to install and configure; you decide the time and day when you want to get alerts. Why spend energy and time going back and forth to see if you’ve received any mail? Mail Chime MAIL-1200 can do all that do. It’s simple to install, and makes people’s lives a lot more convenient. When the door of the mailbox is opened, a sensor transmits signals to the chime in users’ homes. Next, a bright LED (red color) turn on and users are notified about the mail’s arrival via four audible beeps. The package comes with a 12-volt battery and the device itself can function from 300 feet away. However, it isn’t recommended that you begin to use the device for those large-sized heavy walled mailboxes. Four audible beeps that inform users about their mail’s arrival. What if you could turn your conventional mailbox into a “SmartMailbox” that makes sure you receive an email as well as a text message when the door of the mailbox is opened? Well, with this device, you can do just that, along with saving a trip to see if you’ve received mail in bad weather. However, the wireless alerts need WiFi within 400 feet of the physical mailbox. The package comes with 3AAA batteries, and the device itself is easy to configure. However, installation isn’t quite straightforward. The door sensor is mounted inside the mailbox while a weather-resistant enclosure is mounted outside. That said, other aspects of the installation are easier. You just have to get two screws done for the box, drill holes inside for routing wire and use the two (already included) door switch parts with Scotch two sided tape already present. Unless you like making several trips from and to your snail mail box daily, or spend time by the window waiting for the mailman to arrive, it was almost impossible to know when you receive a mail, until this device was invented. The Smarthome Select 74771 is essentially an easy to configure transmitter (sensor) and receiver that instantly informs you when someone opens your mailbox. It frees users up from un productive trips to the mailbox and allows them to go on with their daily activities. It has a visual alert, an audible alert, and a sensor featuring double-sided 3M high-temperature adhesive strips. It can function with every standard mailbox. Not only is it a great solution to know when your mailbox is opened, it reduces the chance of identity theft if someone accesses your mailbox during non-delivery hours. Acts as a defensive equipment for protection against identity theft. This device is manufactured for anyone with irregular and regular service when it comes to mail delivery. Once installed, it removes the need to make multiple trips to the mailbox, which can be a blessing in disguise for individuals with disabilities and health problems. It functions on the standard version of mailboxes i.e. those featuring horizontal hinges and can detect movement up to 200 – 250ft away. It gives off instant notifications where users get a flashing mail indicator as well as a beep sound. Its receiver unit has a DC adapter of 6V that comes with the package while the sensor unit works with 2 sets of AAA batteries that users have to buy separately. Users have to ensure that the arrow is pointed towards them while they open the lid during installation. Also, you should close the Mailbox Door in an upright position. A multifunctional device that makes lives much easier for people with disabilities and health-related issues. This device has a flag that shoots up when a mail is received. It is made with aluminum and features stainless steel hardware. Hence, it’s unlikely that it is going to rust. Its power coat has been colored yellow for good visibility. The MAIL Tattle-Tail Mail Alert Flag is manufactured for single-walled mailboxes like Tuff Body boxes, standard boxes, and those large, jumbo-sized mailboxes. Unfortunately, you won’t be able to use it with double-walled mailboxes. During assembly, a hole should be drilled into the mailbox’s side and then the device has to be bolted on the mailbox. The required hardware to do all this is included inside the package. Designed in the United States of America, the MAIL Tattle-Tail Mail Alert Flag is aesthetically pleasing and comes with a 16-inch long flag that makes it easy to spot whether or not you’ve received mail from far away. The use of the 16-inch long flag means users don’t have to wait for an audible beep to go off. Hence, it’s ideal for those with hearing problems or people who often get complains about loud noises from the neighbors. These devices are perfect for you if you’re worried about attending your mail as soon as it arrives, or you’re anxious about mail theft. They make it easy to keep tabs on those important letters, parcels, etc. Go through these mailbox alert reviews to see which device will be an ideal solution for you.